Good afternoon everyone! I hope you are all having a wonderful weekend! 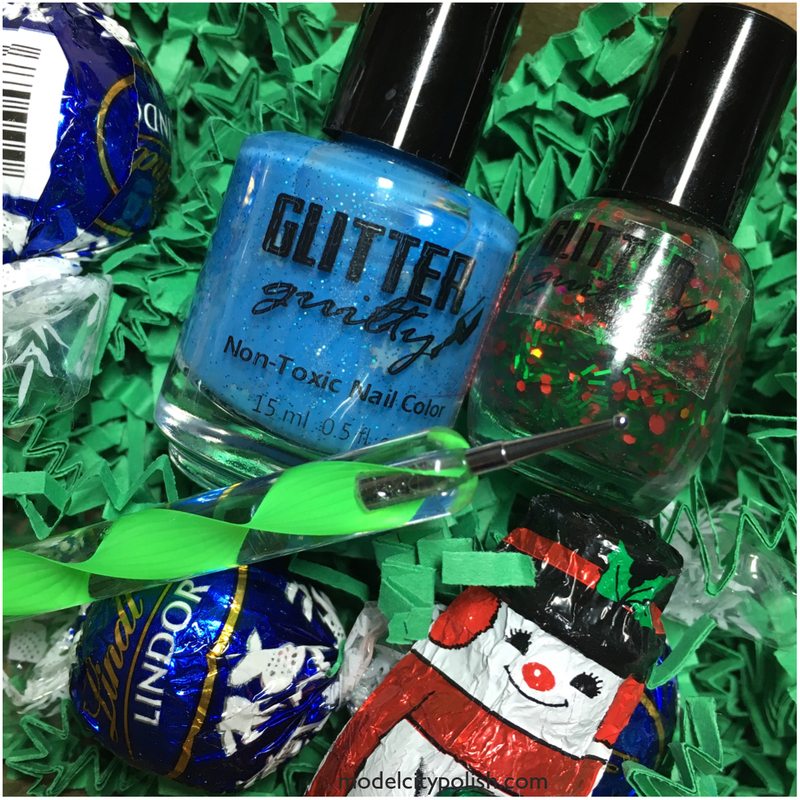 I am back today to share this month’s Glitter Guilty Pleasure Box. 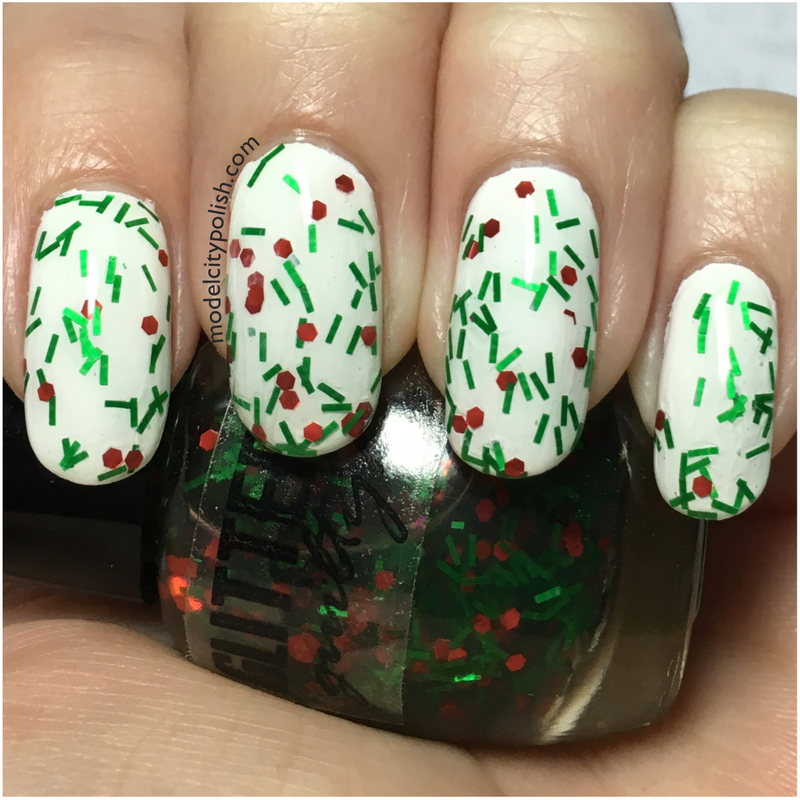 This month’s box was very well themed with the season and holiday’s, and even contained quiet possibly my favorite polish yet! Also this month Glitter Guilty revealed the new mini bottle, bigger and way easier to use!!! Yay!!!! 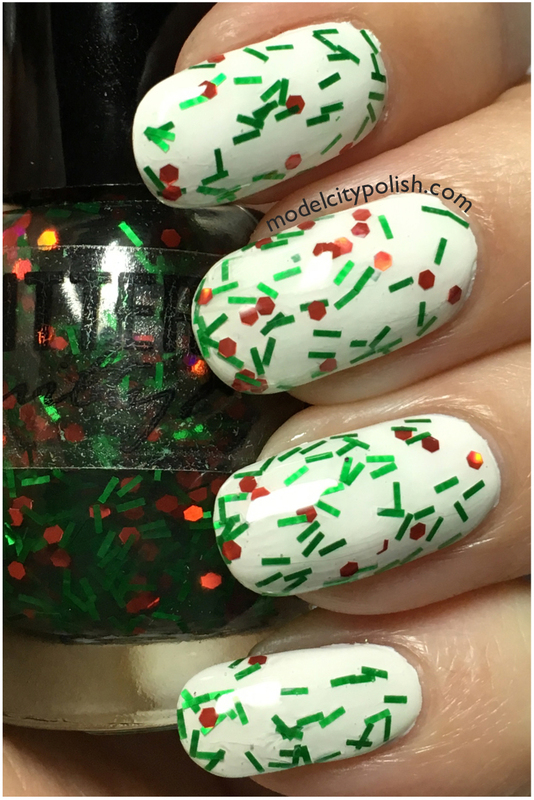 This month’s box was filled with candy, a dotting tool, full size lacquers, and a mini box themed lacquer. First we will look at the monthly mini. 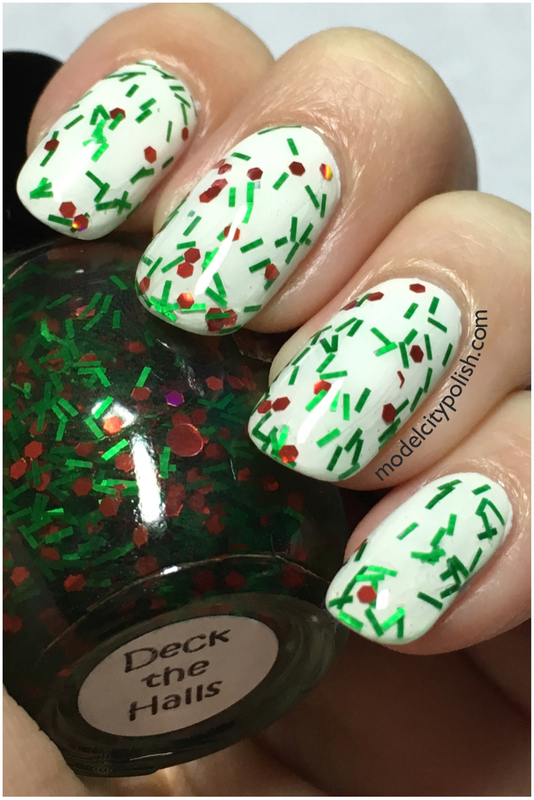 Deck the Halls is a clear base blend with red holographic glitter and green micro bar glitter. Application was fairly easy, even being a mini, and by using the dab/brush method I was able to get full coverage. 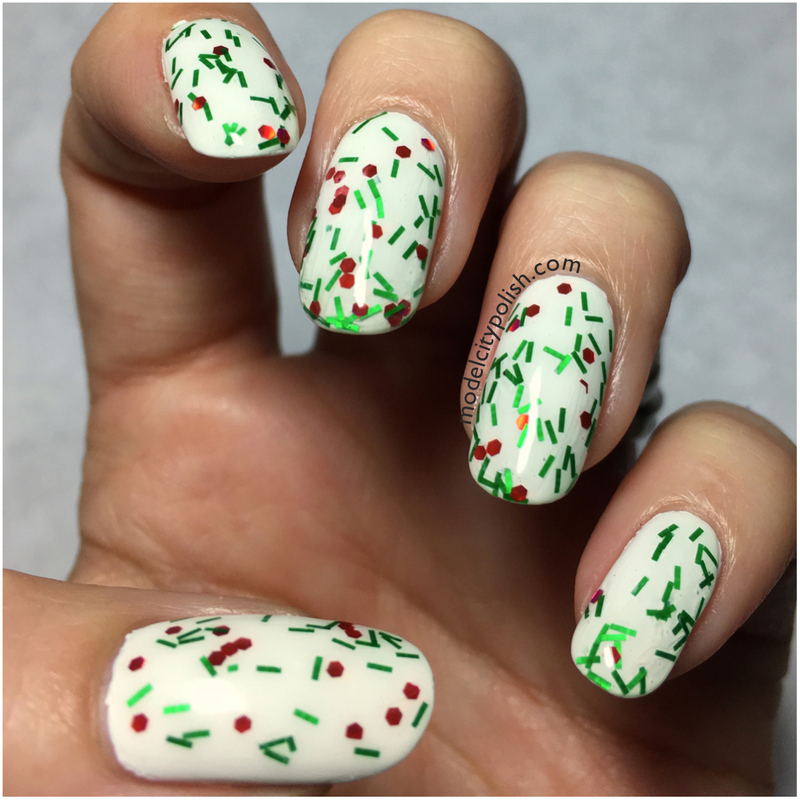 In my photos I am wearing one coat of Deck the Halls over OPI Alpine Snow, and with a coat of clear on top. Next up we have the full size. 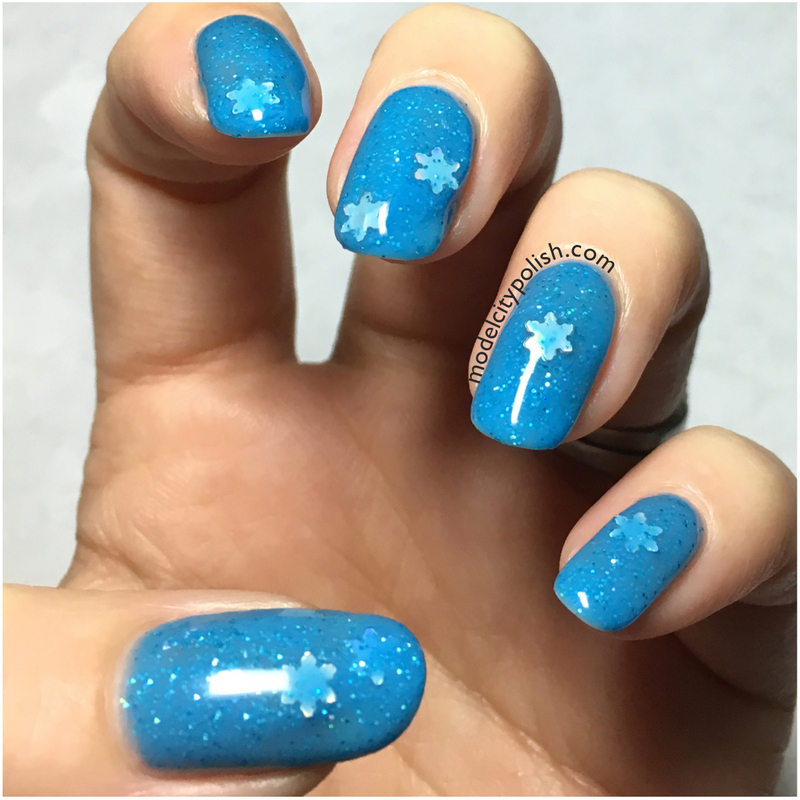 Winter Blues is the most perfect medium blue crelly with micro blue glitter and silver holographic snowflakes. 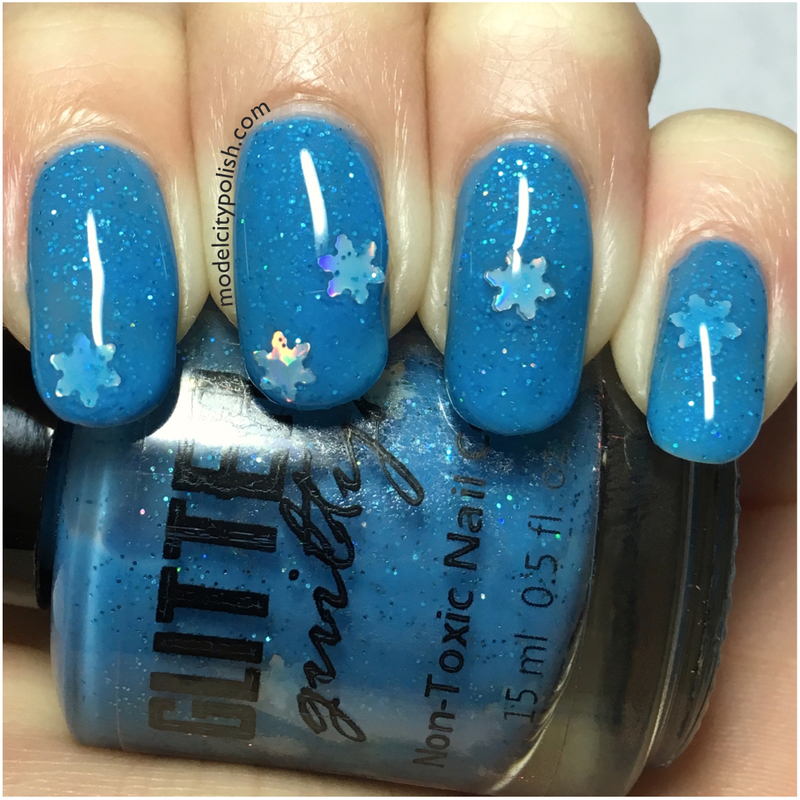 I absolutely love this polish! The color, formula, and coverage is just perfect. 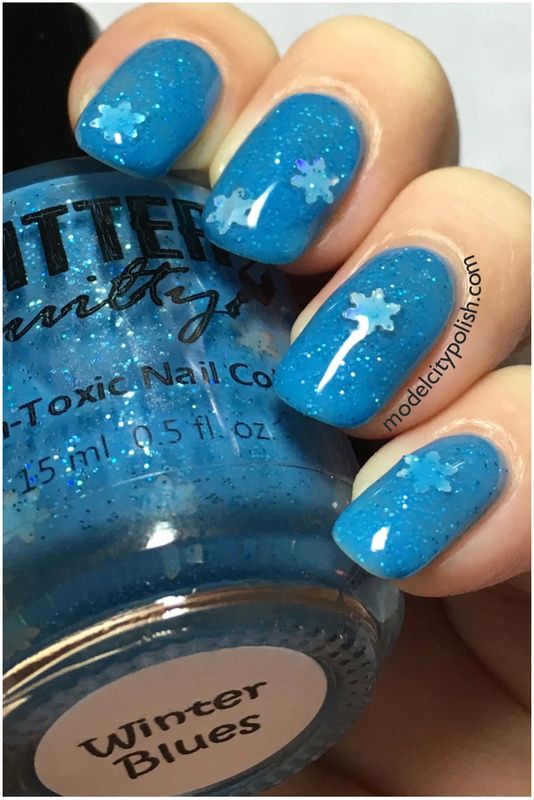 The snowflakes are not overwhelming but easily picked up by just stirring the brush, which is just perfect because I can apply this anytime of year and leave the flakes off. 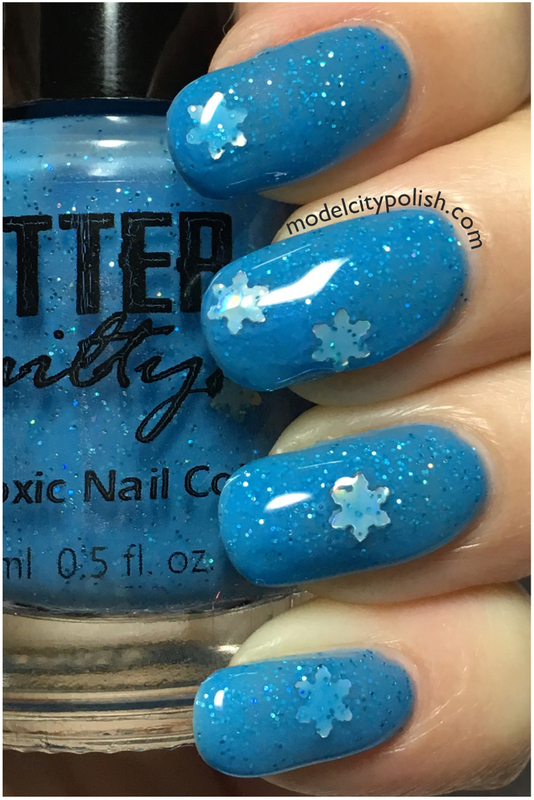 In my photos I am wearing three thin coats of Winter Blues and one coat of clear. So what do you guys think of the December Glitter Guilty Pleasure Box? I love it!!! Perfectly themed, the new mini size, and all the extras make this one of my favorite boxes. 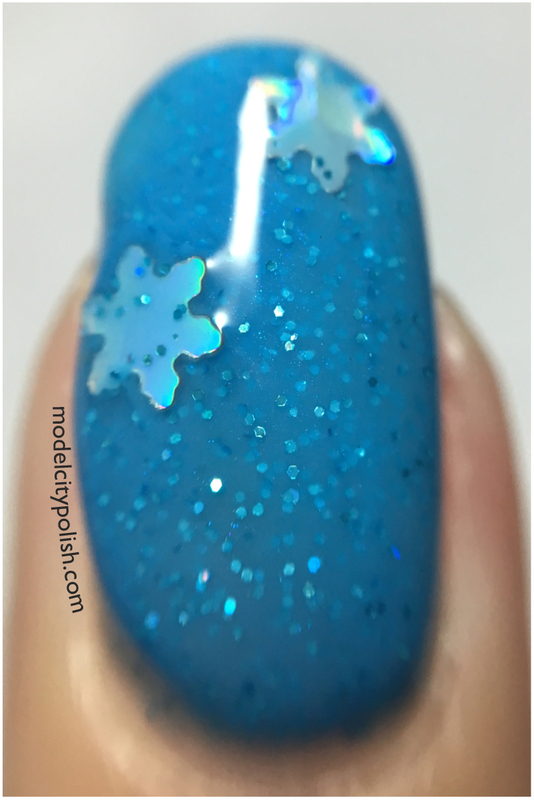 If you love getting surprises each month, a polish lover, and have a sweet tooth….Check out the Pleasure Box from Glitter Guilty. You can also give Glitter Guilty a follow on Facebook and soon Instagram for up to date info, sneak peeks, and more. Thank you so much for stopping by today and I will see you all again tomorrow.